In my last post, I wrote about the tricks and tips to score well in verbal. In this GRE Vocabulary Building – The Fun Way I share more tips. Increasing your vocabulary is an indispensable step. 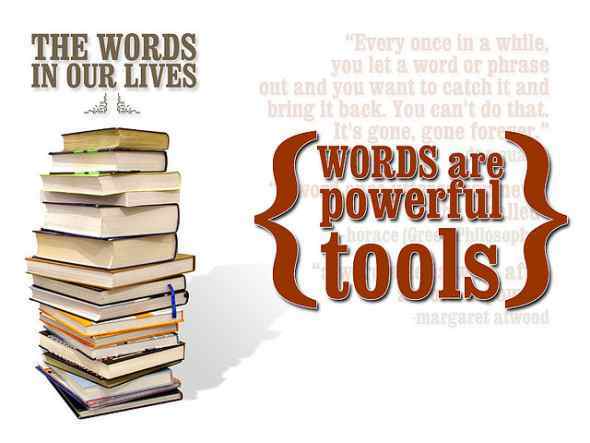 The more words you’ll know, the better you’ll get in verbal, provided you keep practicing. A lot of people find it very difficult to remember words. Even if they manage to learn a few words, it’s a difficult task to retain them. Nobody teaches how to learn things; they just tell what to learn. In this post, I will talk about different methods which can be employed to build a good vocabulary in a short amount of time. This is the most dull, ineffective and mundane way to learn new words. Often when I tell people that they need to learn new words to score well in GRE verbal, they freak out because they believe that the only way to build vocab is by cramming words into your head. Obviously, to a GRE aspirant, trying to remember thousands of new words just by rote learning seems like an impossible job (which it is). So, are there any fun and effective ways to attain an enviable vocab? The answer is YES! The English language is a rich mixture of many languages like Latin and Greek. By grasping the linguistic roots of English words, you can often figure out the meaning of a number of new words that use that same root. It is also known as etymology, which tells us where a word came from and what it used to mean. Anonymous – without a name. homonym– same sounding name as another. A flash card is a little piece of paper, the size of a business card, which has on one side a new word to be learned, and on the other side the meaning of that word. Whenever you have time, take a card and begin with one side and try to guess the meaning of the word.. If you guessed correctly, you move to the next card. The best part of this method is that you don’t need to allocate any special time to learn your flash cards. It can be used any time of the day like waiting for an elevator and inside it, in line at some desk, museum or cinema and commuting in public transport. A mnemonic is any learning technique that aids information retention. This technique is especially helpful when you are supposed to remember large number of words. This is a really enjoyable way to master meanings of new words. In this technique, we relate the word to something we already know. ABERRANT– one whose behaviour diverge from the norm of a group, remarkably different from an accepted norms. Mnemonic: Sounds like ‘ab aur rent’ = now more rent , if you are told to pay extra rent than the stipulated, then this will be an Aberrant behaviour of your landlord. Mnemonic: partial money – spends money very partially or scarcely. It is far easier to remember something by association than it is by just cramming it into your head. An image, a sound, a smell, a taste or a touch are helpful ways of remembering something. All you need to do is to create a very amusing, animated, unforgettable image in your mind that links the word to what you already know. This only takes about 2 minutes and works really well. Word Association: Imagine a person walking through a gate, his manner of walking is GAIT. There are no rules when it comes to mnemonics and word associations. Be vivid, absurd, unusual, humorous, disgusting, repulsive and grotesque. Let’s face it, sometimes you can’t get these images out of your mind! You thought learning words was tough?? Well, think again!! It is really helpful post. I love the innovative ideas.